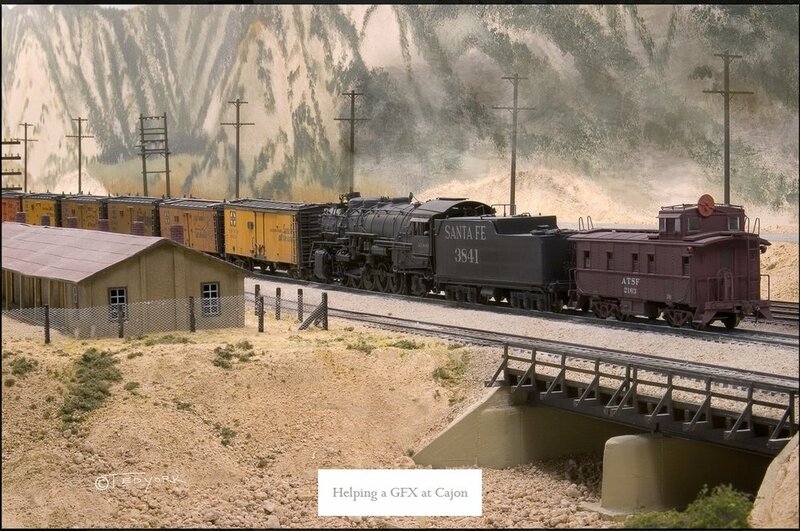 My model railroad is based on the storied Cajon Pass as it appeared during the late 1940’s to the late 1950’s. The layout features both ATSF, which owned the railroad, and UP which had trackage rights over the line. My goal has been to model the pass in both its appearance and its operation. The railroad features 300 feet of hand laid track with staging yards at both ends. Most of the structures on the layout are scratch built to represent specific prototypes. Scenery features hand-carved rock formation made to look like the readily identifiable formation on the actual railroad. For more photos of Ted’s beautiful Cajon Pass Railroad click here.